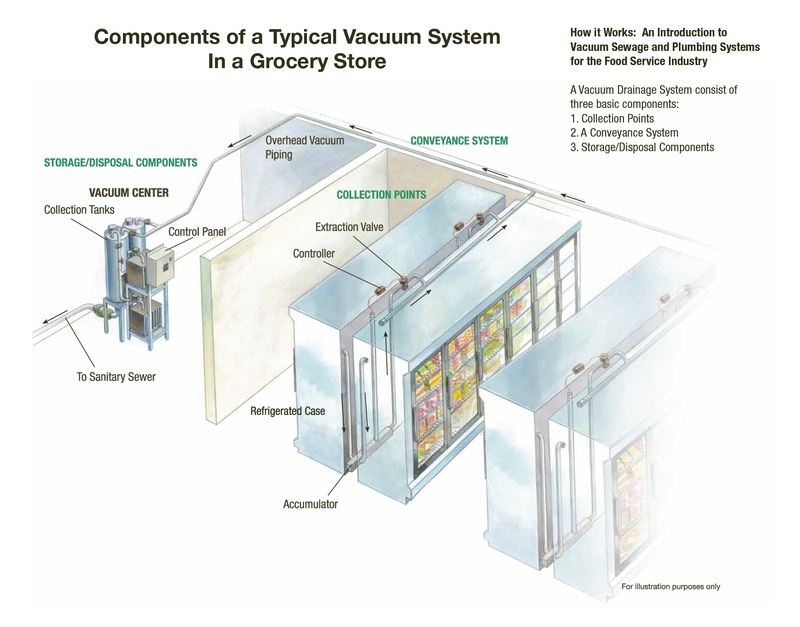 In grocery stores and retail warehouses, common sources include toilets and urinals, condensate from refrigerated cases and coils, or wastewater from plumbing fixtures such as sinks and hand wash basins. 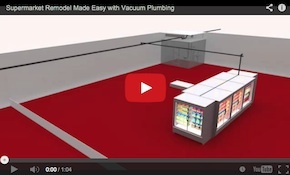 When the push button flush on a toilet or urinal is activated, the extraction valve opens, allowing atmospheric pressure to push waste into the vacuum piping and toward the vacuum center. A water valve is simultaneously activated, allowing the toilet to be rinsed and refilled. For non-flushing fixtures, such as refrigerated cases and coils; sinks; and hand wash basins, condensate or wastewater flows via gravity into an Accumulator (collection point), typically located behind or below the equipment. 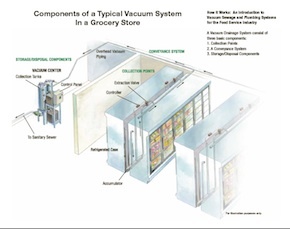 When the waste reaches a pre-determined level in the Accumulator, the controller automatically opens the normally closed extraction valve, allowing vacuum to evacuate the collected waste into the overhead piping (conveyance network) for delivery to the Vacuum Center storage and disposal components. Overhead piping can be routed where convenient in the ceiling space. 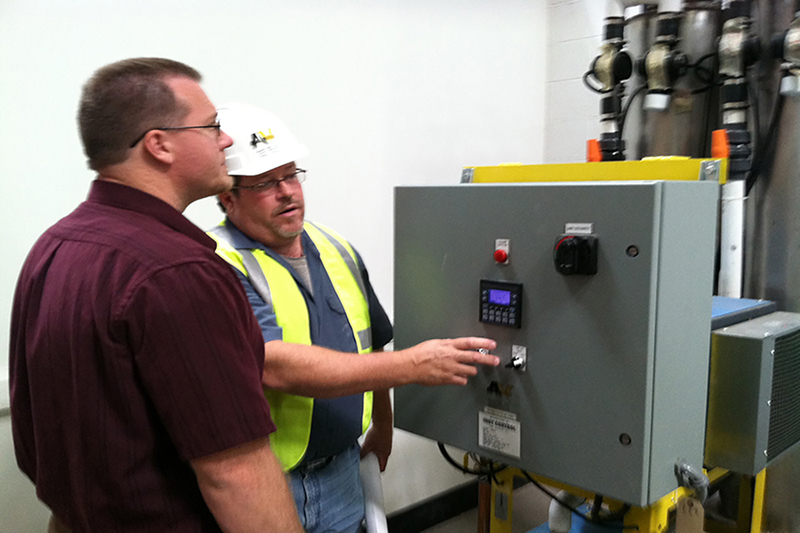 The Vacuum Center includes vacuum pumps that run automatically and only as needed to create vacuum pressure in the waste collection tanks and piping network. Waste is delivered from fixtures and equipment to the vacuum center stainless steel waste collection tanks via the piping network, where it is temporarily held before discharge, either to storm drainage, sanitary sewer mains or an appropriate grease interceptor as required by the application and local codes. Condensate and grey water are discharged to sanitary sewer mains through a code compliant air gap; grease waste is discharged to a code compliant grease interceptor. Systems providing drainage for toilet waste will discharge directly into the sanitary sewer and may include discharge pumps to pump waste from the collection tanks into the sewer.